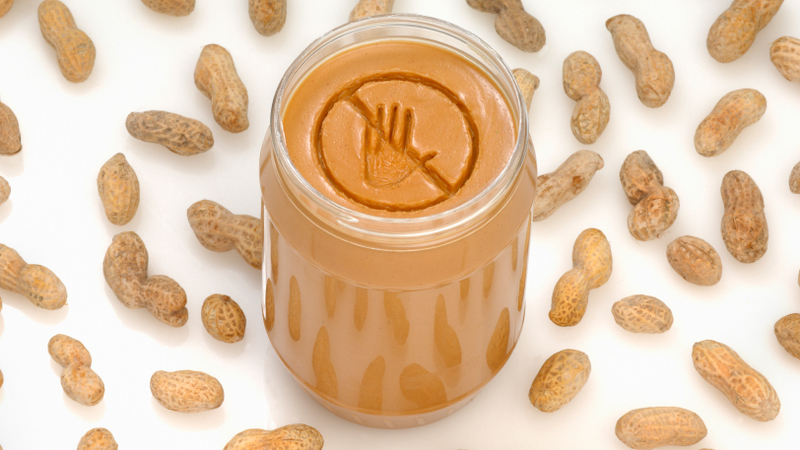 Peanuts were a problem for 9 percent of households that reported someone with a food allergy or intolerance. If some foods really don't agree with you or someone you live with, you've got plenty of company. In the latest NPR-Thomson Reuters Health Poll, we asked people across the country about food allergies and intolerance. The bottom line: 1 in 5 households across the country has at least one person who is allergic or intolerant to at least one food. How do they know? Well, there are the obvious symptoms, such as itching, swelling of the tongue and wheezing in some cases. Nearly two-thirds of households — 64 percent — that reported a food issue said the allergy or intolerance had been diagnosed by a doctor. Still, just what constitutes a food allergy can be hard to pin down. "Food allergy has no universally accepted definition," according to a review of the medical literature that was published last year in JAMA, the Journal of the American Medical Association. That has complicated the task of coming up with precise figures on of the prevalence of food allergies. OK, so given the caveats, which foods lead to the most problems in our poll? Milk and dairy products were No. 1, affecting just over a third of the people with allergies or intolerance. Fruits, as a group, were second at 19 percent. "Peanuts? What about peanuts?" you ask. Those came in at 9 percent. We also asked people if they believe bans on certain foods, such as nuts, from public places (think airplane cabins and lunchrooms) are an important safety measure. A majority — 59 percent — said the bans are OK by them. Finally, we wondered if people think that fears about food allergies are overblown. The responses were just about split: 48.5 percent answered yes; 51.5 percent said no. The results came from a nationwide telephone poll that collected responses from more than 3,000 adults in early June. The margin of error for the findings is plus or minus 1.8 percentage points. To see the questions and detailed figures, click here. For the result from previous NPR-Thomson Reuters polls, click on the poll tag below.